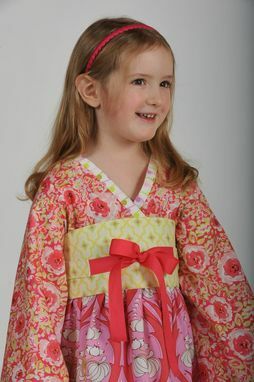 Asian-inspired girl's Kimono dress with obi (waist tie) in peppermint, pink and green. Available with SHORT sleeves also. Loosely fitting very full dress slips on over the head. The removable obi-sash cinches up the skirt for a finished look, and is adjustable. Criss-crossed bodice and long sleeves with coordinating trim (note - trim slightly different than shown - Material used for trim will be the same as the obi/sash). Comfortable 100% cotton fabric is wearable all year long. 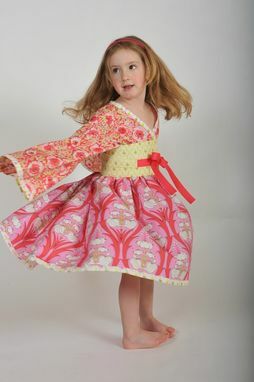 This dress can be made in other fabric combinations - please see other garments in my shop for available fabrics. Meticulously sewn and professionally finished. Available in sizes 2T-8. Send me the child's height and chest measurements for the best fit. This dress can be custom-made to your liking with short sleeves or made in a shorter length (tunic top). 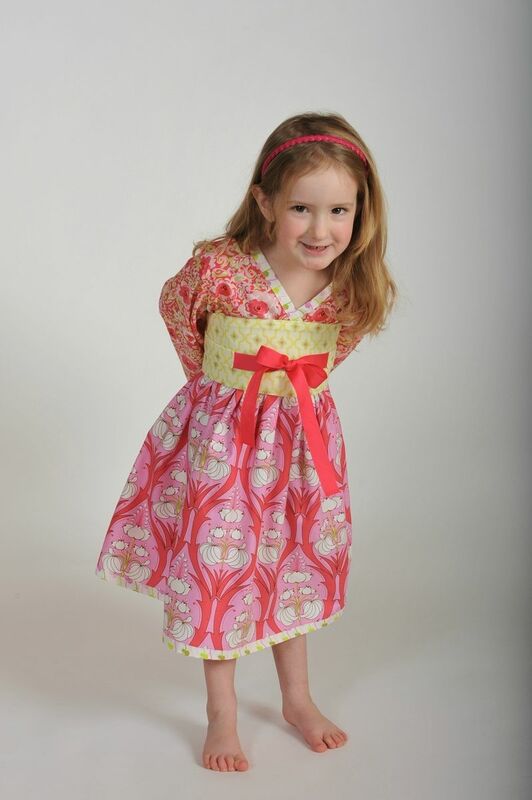 Photography Credit: Special Thanks to Mike Kohberger for his photos of this dress. Dimensions: Available in sizes 2T - 8.